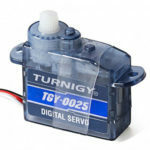 This Turnigy TGY-D56MG coreless servo motor has excellent holding power, metal gear footprint, light weight at 5.6Grams. 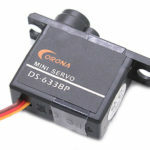 Corona servos are well known in the RC hobby as to servos. At 6.2 grams of weight, and a holding power of 0.82kg.cm on a single cell lip bettery, these servos are fantastic. 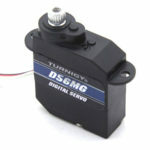 Click here for more info on this servo. 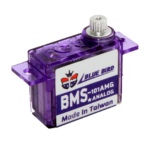 The lightest servo of the group, these are new to the market and offer an exceptional weight to torque ratio. At 2.5 grams of weight and 0.7kg/cm@4.8V of torque. Click here for more into.